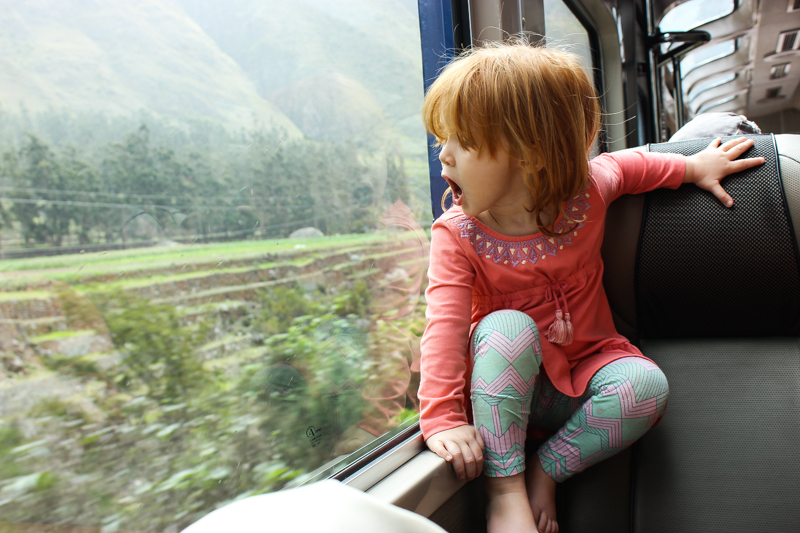 Lottie Cakes: Here you are en route to Machu Picchu. This week we spent with your grandpa in Cusco, Peru exploring ruins, taking a side trip to one of the 7 world wonders (more on that later!) eating delicious food, market shopping and hanging out with your best tiny Peruvian friend Fabio. You've been a trouper and with only 3 weeks left of our 4 1/2 month journey We will be taking it easy, exploring islands, lounging at the beach and soaking in these last moments before we return home, settle in (for a bit ;)) and happily take in the Melbourne summertime.